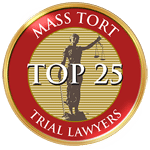 NastLaw was recognized as a Top 25 Mass Tort Law firm by The National Trial Lawyers. The National Trial Lawyers is a professional organization composed of the premier trial lawyers from across the country. The organization’s members exemplify superior qualifications as civil plaintiff or criminal defense trial lawyers. The organization provides continuing education for trial lawyers and provides recognition to exceptional attorneys and law firms.